Discussion in 'Off Topic' started by King Stannis, Jan 19, 2019. Crime fascinates me. If you enjoy stories about serial killers, cover-ups by law enforcement, unsolved mysteries and cold cases, this is your thread. I began looking into this in depth over a decade ago. Even before Gannon and Duarte. One notices that when a young (white) woman goes missing, it is an all-hands on deck event with un-ending news coverage. But when a guy is missing? No one cares. "He wandered off. No big deal." Lord forbid the worst, but the reactions if both are found dead could not be more different. The death of young men are often attributed to accidents or suicides that merit little to no police investigation. Are some capitalizing on this indifference? Shelley didn’t hesitate. That program was telling her he was on Pittsburgh’s South Side. But Dakota was texting her as she drove, trying to guide her. “I’m here,” he texted, sending a picture of a jean-covered leg. “Please help me. I’m so cold. The cops won’t help me.’ Her phone’s location services told her he was at a Springhill Suites on Water Street in Pittsburgh’s South Side, not North. She texted him that with a question mark. She got there in less than 10 minutes, arriving around 11:30 p.m. As she pulled up to the hotel, she saw a dark SUV in the wrong lane, facing the wrong direction. And Dakota was walking out of the hotel and straight toward the SUV. “I pulled up not even 10 feet away from the SUV,” she said. “I said, ‘Dakota!’ He turns, looks back then comes over to me, got in my car, and we left.” He wasn’t slurring his words. He was walking a straight line, not staggering at all. His clothes weren’t disheveled or wet or dirty. He was emotional, still crying, and he was scared but he did not appear to be drunk. The next day, he thanked her for picking him up, but brushed the whole thing off, saying he had a bad hangover. And she might have, too, if he hadn’t vanished five weeks later, after a similar night out with some of the same co-workers. Was it just an odd coincidence? Or was James being stalked in the weeks before he died? If she hadn’t shown up at the hotel, would he have vanished that December night, instead? On March 6, 2017, 40 days after Dakota James disappeared, a woman walking her dog saw his body floating in the Ohio River, about 10 miles from where he was last seen in downtown Pittsburgh—at 11:49 p.m. that January night—and about 30 feet from the shore. His death was ruled an accidental drowning by the Allegheny County Medical Examiner’s Office. But a team of retired detectives and a gang expert believe he’s one of about 100 victims of the Smiley-Face Killers, an alleged organized gang of serial killers that communicates on the dark web, with cells in dozens of cities across the United States. An additional 250 cases might be connected, but they can’t prove it, they say. Smiley Face Killers: The Hunt for Justice, a new six-part limited series that premieres Saturday, Jan. 19 at 7 p.m. They also have a host of detractors, from the FBI—which looked at the deaths in 2008 and concluded the vast majority appeared to be accidental drownings—to the Center for Homicide Research—which looked at 40 of the cases, concluded the vast majority appeared to be accidental drownings—to the Center for Homicide Research—which looked at 40 of the cases and concluded the same—to the various police departments and medical examiners that handled each case and steadfastly refuse to change their conclusions. Despite all of their efforts, so far just one of the cases has been changed to a homicide. And that was only after four years of exhaustive efforts by his parents. 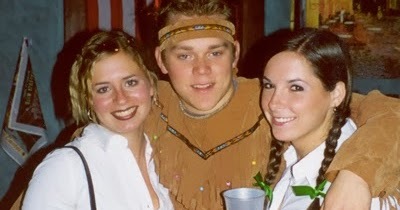 Chris Jenkins, a 21-year old University of Minnesota student, vanished after leaving a Minneapolis bar on Nov. 1, 2002. Four months later, he was found floating in the Mississippi River on his back, with his arms crossed across his chest. His death was initially classified as an accidental drowning but in 2006, the police finally agreed to change it to homicide. Minneapolis Police Chief Tim Dolan even made a very public apology to the Jenkins family in November 2006, telling reporters, “When we are investigating a case, we will obviously do the best we can, but we’re going to occasionally make mistakes. In Chris Jenkins’ case, we did make a mistake…And for that, for the Minneapolis Police Department, I want to apologize to the Jenkins family.” The police had a source who had given the specific details about the spot where Jenkins was thrown off a bridge, Dolan said, but he would not elaborate. “In terms of what the police have done, to our knowledge, it would be nothing,” Jan Jenkins, Chris’ mother, who wrote the book Footprints of Courage about her family’s quest to find justice for Chris, told The Daily Beast. “We don’t even know who the sergeant is on the case.” John Elder, a spokesman for the Minneapolis Police Department, would only say the case remains an “open/active investigation” and urged anyone with information to call Crime Stoppers of Minnesota. The scenes with his parents, Pam and Jeff James, are gut-wrenching to watch, their grief still fresh. Though it’s difficult to relive his death over and over again, they do it because they want justice for their so. She and her husband say they have encountered nothing but roadblocks trying to get those answers. They were not allowed to view Dakota’s body when he was found, just his ankle, which had a distinguishing tattoo, they say, and they didn’t get the photos from the autopsy until August 2018, 17 months after his body was discovered. That’s when they saw what appeared to be ligature marks on his neck, said Wecht, the pathologist who viewed the photos. The Allegheny County medical examiner, the police, and the district attorney would not respond to questions about these specific issues, instead saying they say they are open to any new information Gannon and his team find. Pam has asked Allegheny County Medical Examiner Karl Williams to meet with her and Wecht, but so far that hasn’t happened. Added Gilbertson: “These are upstanding young men. So why precisely do they hate them? Because maybe they’re succeeding. Maybe it’s the haves and the have-nots.” They say they have suspects in three of the six cases their show is featuring. All are allegedly members of the gang. He believes they stalk their victims and the incident Shelley described with Dakota could have been one of two things. “They tried to abduct him, and he escaped, or they were doing a test run,” he said. For Gannon, it all began in February 1997 when he was a detective in New York City investigating the disappearance of Patrick McNeil, 20, who vanished after a night out with friends at a bar in Manhattan’s Upper East Side. His body was found two months later about 12 miles downriver, floating near a pier in the East River near the Bay Ridge section of Brooklyn. Our critics say there is lots of smiley-face graffiti around ... I’ve been on hundreds of bridges. There aren’t as many as you think. McNeill would have had to walk several blocks and climb over a fence to urinate. Why would he do that when he could pee anywhere? Gannon also checked with the NYPD’s harbor patrol and they said there’s no way, with the currents the way they are, that a body could go into the East River where he vanished and end up where it did. Two more men around the same age vanished in New York City over the next 15 months. The body of one of them was found near where McNeill’s body was found. The third was found in the Hudson River around 138th Street. Gannon retired in 2001 and enlisted his former partner, Anthony Duarte, to help him investigate the cases. The following year, he saw a report on CNN about similar suspicious drownings in the Midwest and began looking into them, eventually teaming up with Gilbertson, a criminal justice professor and gang expert at a university in Minnesota who had been studying the Midwest drownings for years. Though it’s been 22 years, Gannon hasn’t forgotten his promise to Patrick’s mother, Jackie: that he wouldn’t stop until he found out who killed her son. Gannon “is amazing,” Jackie, 73, told The Daily Beast. “On the anniversaries he’ll call and say, ‘I’m thinking about you.’ I consider him a good friend.” And she’s still holding out hope she will finally get some answers. To add, I’m not sure if anyone here is familiar with the disappearance of Lauren Spierer from Indiana University; I was going into my senior year the summer she went missing. Eerily enough, I was at the same bars she was the same night she was last seen. My friend — whom was a bouncer at one of the bars, actually found her phone and shoes. I’ve kept up with it ever since because some of the areas down which she was allegedly seen walking were regular routes of mine; I’d also bought weed very frequently in the Smallwood apartment building wherein she was seen on camera. Can’t believe it’s going on 8 years. What is the local scuttlebutt about what happened? Local police didn’t offer much speculation since it’s still open. But her parents came out and said they’re confident that the males with whom she spent time that night are well aware of what happened to her. Supposedly she had a heart condition and was doing cocaine that night according to one of the persons. Further, obvious suspicion was raised when all her boyfriend and two guy friends flew back to Long Island, NY the next day or within that week and got attorneys and said little-to-nothing to the police. I ultimately think she died from some drug use and they dumped her in a super remote location in southern Indiana, Ohio or Kentucky. The top true crime are Jon Bennett, D.B. Cooper, and Cleveland Torso Murders. I can't say I would blame those guys for doing what they did (attorneys). As we have seen, they would have been thrown into a media circus. And being guys, they would have no benefit of the doubt. We have seen what happened to Dan Rassier in the Jacob Wetterling abduction. So... You know the same places. Walked the same route as her. Purchased narcotics along same route. What exactly were you doing that night she disappeared? Hey I lived in Smallwood, lol. I also think that she OD'd on cocaine. An IU student by the name of Joseph Smedley was found dead in a nearby lake in 2015. They ruled it a suicide. The creepy part is that his Twitter bio said "If found in police custody, it wasn't suicide." I have to cast doubt on this simply because I couldn't see everyone in a group thud big keeping quiet. They are even suspected of leaving a symbol- which means some or all want to be noticed. At least one- like an aged out one- would spill the beans. I think one thing it shows is how tough it is to determine if a drowning death was accidental or intentional in these cases. Several of these may be murders- but i doesn't mean a shadowy dark web gang is doing them. Interesting theory though. Smedley's sister told Eyewitness News her brother had promised to take care of something for her Monday morning and that the 20-year-old had invited a female friend to hang out that upcoming Thursday. 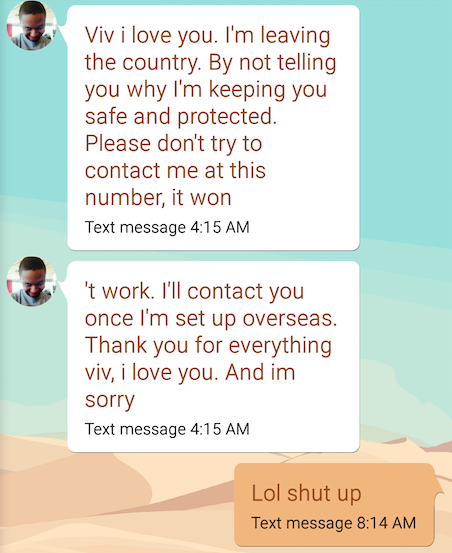 All of it happened before she received a bizarre text saying he was "leaving the country." So when I first looked into this, back in 2004 or so, it seemed a genuine possibility. However, after time in Army, including with intelligence, I have to agree that it would be nearly impossible to keep this stuff quiet. Some one in the network would have to have been picked up by the cops or something. That is how they were able to determine that Chris Jenkins was murdered. Then again, secrets can be kept. Look how long it took for the Catholic molestations to be taken seriously. Interestingly enough, in several cases the victim called someone or texted that they were being chased. Hours later the victims phone would then text "I'm good. Leaving forever. Bye." The most current true crime I’m interested in is Amy Malhaljevic. I’m often up late at night researching trying to solve it. ANSWER THE QUESTION @MGMT! You think she overdosed on coke or you know she did because you were in fact there? Some people suspected his fraternity brothers because they were the last people he was seen with. It's a very strange case. This is the message "he" sent his sister. "The act of Joseph leaving the country seemed uncharacteristic and he was noted as someone who usually confronts his problems rather than run away from them. In fact, he didn’t even have a passport either, so the thought of him leaving the country didn’t really make sense. The thing is, anyone could have sent the text through his phone and anyone could have written the note as well. His sister noted that “All his clothes are still in his room. All his shoes are still there, his hat, his jacket. Everything. His laptop, his phone charger, his tablet, all of that is still in his apartment.” Also, people thought it was weird that he would sign it with just “Smedley” and also date the note as well. His sister Vivianne also said that [it didn’t even look like his handwriting and that it looked like it was written by someone left handed.] So who could possibly have the motive to do something like this?" I would suspect the frat too, as in a ceremony gone wrong or something like that. He was murdered for sure. The answer would be footage of the person who left the fake note. Run prints and DNA off the note as a start.